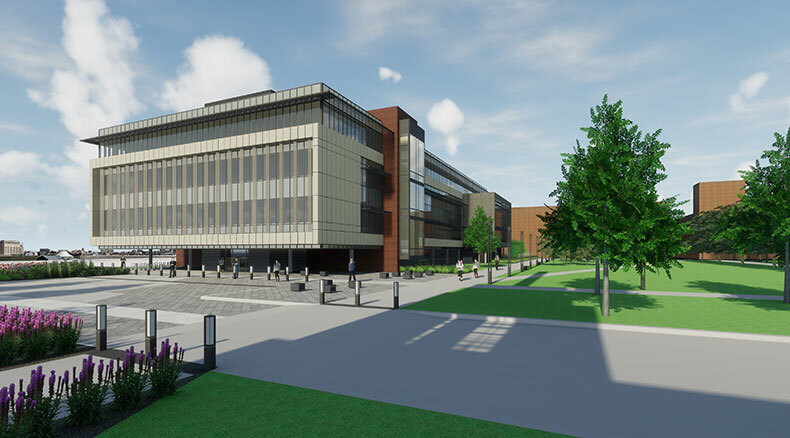 Tarlton is serving as Construction Manager for the new Center for Nursing and Health Sciences for St. Louis Community College at Forest Park. KAI Design & Build is project architect. Construction of the 4-story building began in March 2018 and will include a dental clinic, modern science labs and classrooms, teaching areas and innovate learning spaces. It is scheduled to be open for students and faculty for fall 2019. The project is registered for LEED certification.